Ranking the best basketball shoe of all time is hard to do. We can base it on the shoe's performance, popularity or even it's price. Some may even rank it through it's value over the years. LeBron James’ first signature shoe in the NBA. Immediately after signing LeBron James to a $90 million contract and before he played his first ever NBA game, the Nike Team went to work and brainstormed to put up a signature shoe for a player who entered the league with the greatest hype ever. They came up with a Hummer- like design based on LeBron James’ Hummer H2 which his mother gifted him for his 18th birthday. 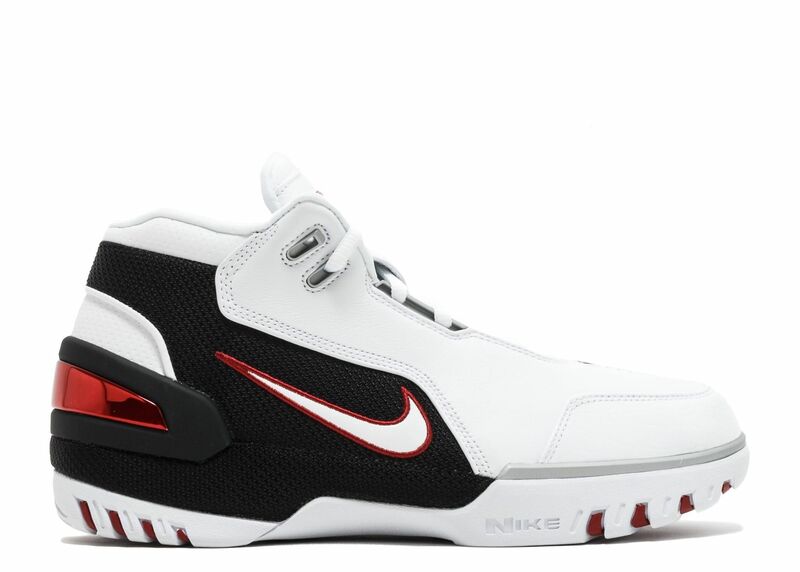 After months in the war room, the Nike Air Zoom Generation made its official debut during LeBron James first regular season game as a professional basketball player on November 5th, 2003. Nike Air Zoom Generation released 5 colorways to the public. A Limited release colorway was released with the date of his first home game, 11-5-2003 known as the "First Game". Nike's decision to sign James before his first NBA game was one clever move. This shoe may not be that valuable yet but the first signature shoe of "The King" deserves to be in the Top 10 shoe of all time. The first signature shoe for Allen Iverson was designed by Scott Hewett. Released in 1996 in mid and low cut, this shoe had Honey-Comb shaped hexalite cushion on the midsole and a glassy outsole. 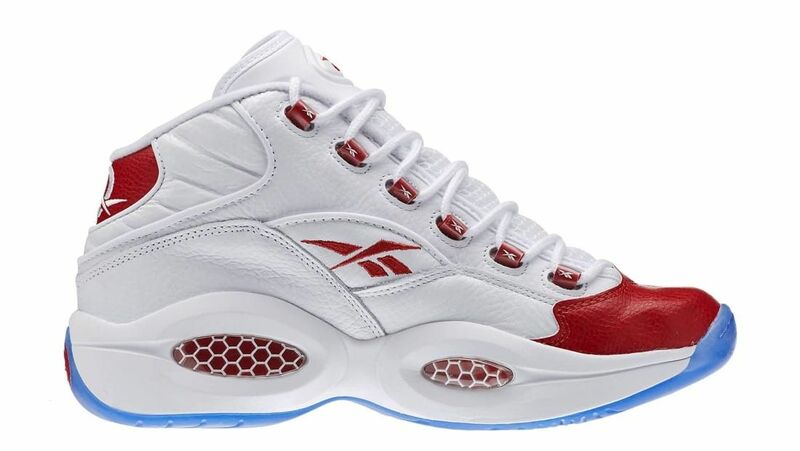 It's color combination is very attractive and it has impacted the basketball shoe world the same way Iverson did the basketball world in his rookie season, grabbing the Rookie of the Year Award. Fans can always recall that this pair of shoes was the one Iverson used when he famously crossed over Michael Jordan during an NBA game. This shoe is easily one of the best Reebok shoes released.They have been retroed back with different styles and colorway. "Feet you wear" Before the start of the 1996-97 season, Kobe Bryant signed a 6-year contract with Adidas. 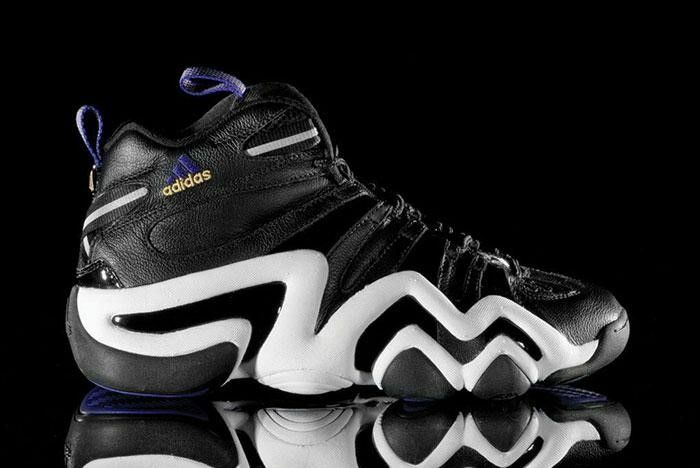 Following Bryant's rookie season, Adidas released his first Signature shoe. Yes, you got it right. Before the various Kobe's with Nike, he was with Adidas. This is where it all started. During the late 90's, Nike dominated the shoe market. Adidas started the " Feet you wear" campaign by using technology and combined it's patented leather material. It may look heavy in the outside but the performance level of the shoe is more than what you see. Together with the Adidas Torsion system, it's all foam cushioning makes it flex with one athlete's feet. Iconic. 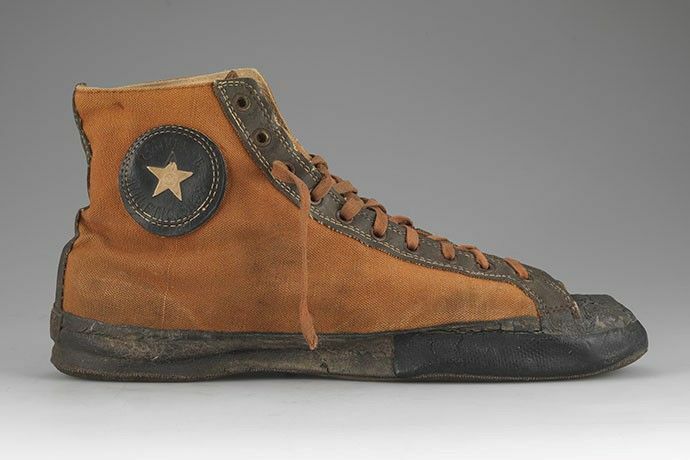 The first signature Basketball shoe that was first released in the 1920's Converse Chuck Taylor All Stars, also known as "Chucks" or "All Stars" was worn by almost anyone who played basketball during the 1970's. The initial release for this pair of shoes had 3 styles. 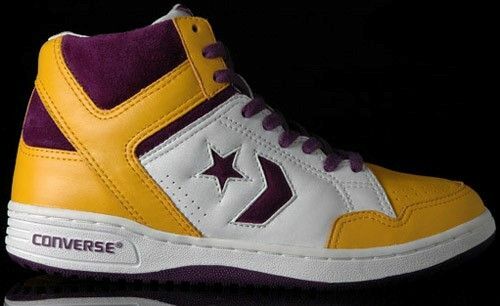 It was then redesigned by Chuck Taylor, a Professional Basketball Player and salesman, when he joined Converse in 1921. The shoe was more popular when it was used by most athletes in the 1940 Olympic games This was also the official Athletic Shoe for the US Armed Forces during World War II. By the 1960's, the All Stars were worn by 90% of the basketball teams from both professional and college level. Made from different materials such as leather, the most known version of this shoe is made from cotton canvas. Several versions were released last 2013 and 2015 but you can easily distinguish these shoes from the others because of it's ankle patch with the All Star logo. Which basketball fan could ever forget the line, "Choose your weapon" in the legendary basketball shoe commercial featuring Larry Bird and Earvin "Magic" Johnson, and set in Bird's Hometown of French Lick in Indiana? If you grew up watching the Celtics vs Lakers and Bird vs Magic rivalries during the 1980's, you would have never missed this shoe and even probably owned a pair of these before. The "Weapon" was released in 1986 by shoemaker Converse and it's first endorsers were the biggest rivals in NBA history;, Larry Bird and Magic Johnson. Bird's Boston Celtics and Johnson's Los Angeles Lakers were the dominant NBA teams of the 1980's, winning a combined eight NBA titles during the decade. Released initially in Larry Bird black and white and Magic Johnson purple and gold, the Weapon was the iconic shoe of the 1980's decade and worn by many NBA players as it was later released in more colorways to represent the different team and was made available in both high-top and low cut models. Weapon was unique because of its leather construction throughout and it's heavily padded inside heel for comfort. The shoe was also popularly worn by Guns and Roses frontman Axl Rose in the band's official music video for the song entitle "Estranged". 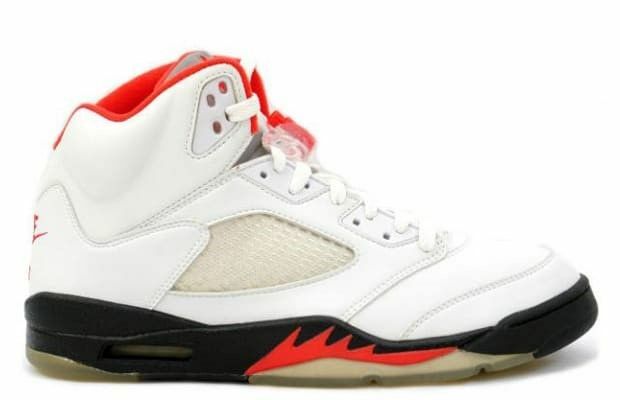 The Air Jordan V is the fifth signature shoe of Basketball Superstar, Michael "Air" Jordan. A World War II mustang fighter jet-inspired design was perfect for Tinker Hatfield since Jordan was a destructive force on the court. Originally released in 1990, the Jordan V initially had four colorways in its first release, White/Black-Fire Red, Black/Black-Metallic Silver, White/Grape Ice-New Emerald, and White/Fire Red-Black. In 2000 they were retroed and were the first Air Jordan Retro of the new millennium. Since then, this shoe has had many retro releases, that includes, old and new colorways and low tops. These shoes were retroed The White / Black – Fire Red was worn by Michael J Fox in the movie Back to the Future. He Got Game! This shoe was featured on the movie by Spike Lee and starred by Denzel Washington. Michael Jordan's 13th signature shoe, also created by Tinker Hatfield and released in 1997. The shoe has a captivating design modeled after a black panther's paw. A green hologram believed to be an eye of the best is at the heel of the shoe. It's sole is one of the most unique ever in the Jordan line. Michael Jordan's resemblance to a Black Panther gave Hatfield an idea on the design for this shoe. They did not meet before this design was made. Incidentally, Jordan was called as Black Cat by some of his friends. 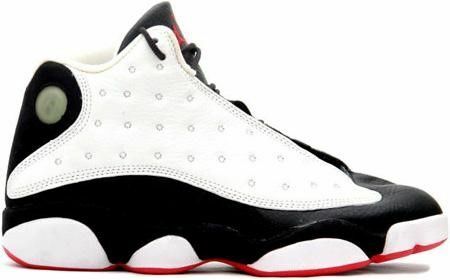 Five colorway was released in 1997-1998 for the Jordan 13 and two Air Jordan Lows. In 2004-2005, Jordan Brand released six colorways. Ranked by ESPN as the best in the Kobe line. This relaxing and exceptionally light pair of Kobe's signature shoe was released in 2009 and was used by fellow Laker Lamar Odom and Trevor Ariza. Back in 2005, Kobe Bryant missed about 20 games with an ankle injury, one of the worst in his career at that time. 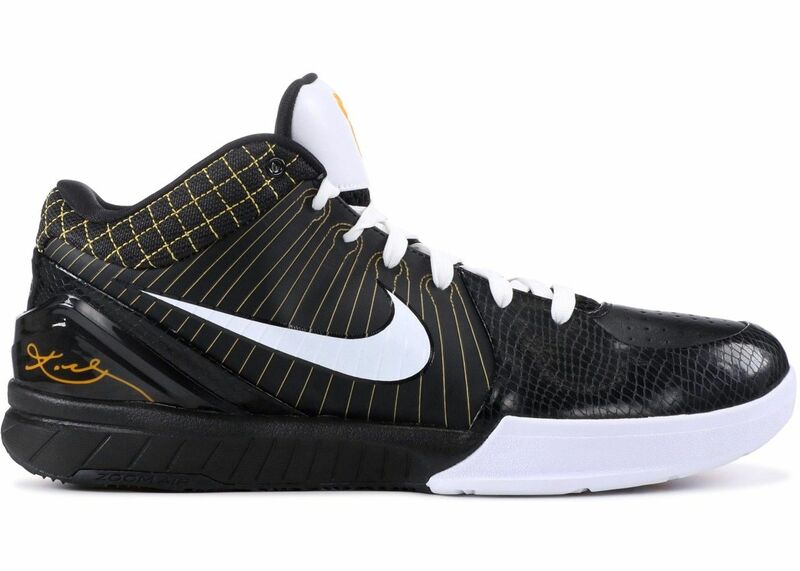 Kobe requested for Eric Avar and his team to innovate a low, lightweight basketball shoe and they did deliver a product that probably started the low top revolution during the mid 2000 era. No basketball shoe has been this light, comfy, without balance support. They want to prove that this low cut Zoom Kobe IV can perform in basketball's highest level of competition with superstars like Kobe Bryant. Winning the championship in 2009 proved to be the icing on the cake to show that Kobe's creativity and innovative mind is not only on the court but also on the shoes he choose to wear. The first of the Air Jordans. Many ever wondered why Michael Jordan was fined $5,000 per game if he wore this shoe by David Stern. This did not stop MJ to use these pair of red and black Nike basketball shoes. Neither did it stop from making the shoe more popular. This made Nike, the Air Jordan on the map of the basketball shoe world. In 1985, a revolutionary pair of basketball shoe that was comfortable, durable and remarkably lightweight was released by Nike for Jordan.This cost for $65 and was designed by Peter Moore. It was released in 1985 as the first multi-colored shoes worn by NBA players. Jordan's first impression regarding this pair of shoes was he will not wear it. But the moment he used it, they slowly became famous.Playing in the All Star Game as a rookie and winning the Rookie of the year award made it a more better year for both Nike and Jordan. The rest is history. Stylish, classy, and the most popular of all Jordans. In his first full season after coming back from retirement, Michael Jordan had his 11th signature shoe, the Air Jordan XI. This sneaker is the first to showcase patent leather. 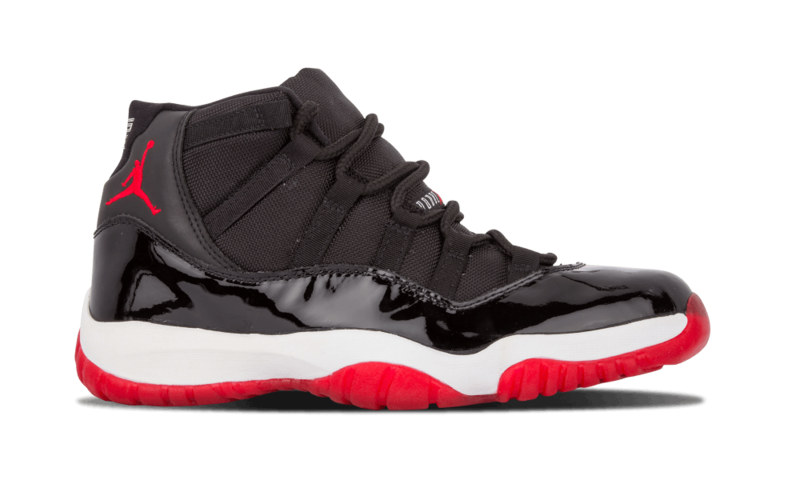 3 colorways of the Air Jordan XI were rocked in 1995 in mid-cut and low-cut. After five years, it came back and had a retro run with OG and new colorways with snake skin and it's patent leather. It had several releases in 2003, 2006, 2008, 2009 and even until now. The shoes were designed for samples only in 1995 but when Jordan decided to come back and play, he did not resist using these. These shoes also violated the league dress code when they used this against the Orlando series in the playoffs. Just like the Jordan I, it made the shoe even more popular. 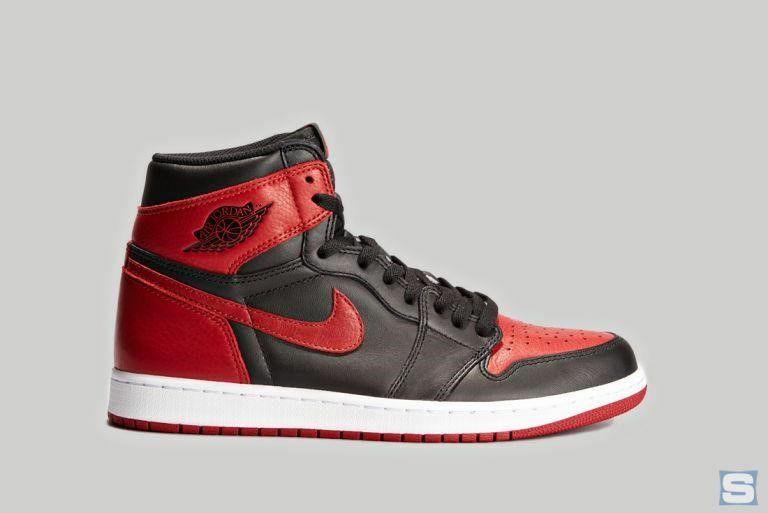 The shoe will also be remembered as the one MJ used to reclaim the championship in the 1995-96 Championship. A class in it's own. This is the best basketball shoe 2 decades ago, today and who knows even a decade after.